Caring for your teeth and gums regularly is very important and can have lasting implications on your health. In honor of September serving as National Gum Care Month, we would like to take this opportunity to explain how neglecting gum care can lead to periodontal disease, which can then lead to further medical problems. In addition, we want to encourage and equip our readers with simple practices that can be implemented each day to help prevent periodontal disease. Such proactive behavior can be extremely beneficial to one’s overall health. Below are three factors to consider in regards to gum care. We are currently reforming the dental membership plan, details are subject to change. 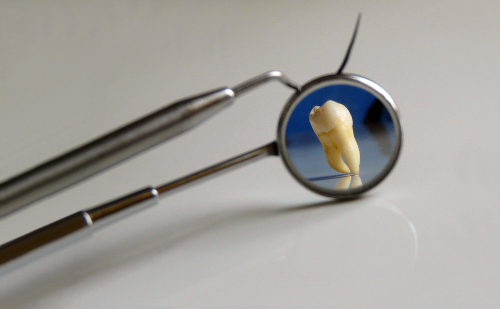 Periodontal services are a branch of dental treatment that focus on the unseen side of oral health. Composed of, primarily, what lies beneath the gum line, this dental specialty has the ability to treat conditions such as periodontal disease and even complete a smile by replacing missing teeth with dental implants. 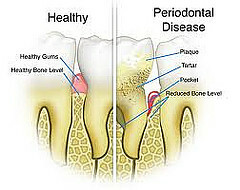 Gum disease, also known as periodontal disease, can be very expensive to treat. For those suffering from gum disease, possible options can include gum surgery, surgical (deep) cleanings, and quarterly maintenance cleanings with a licensed hygienist to arrest the disease and keep it from worsening. The costs of these needed services can add up.